The NHS made a substantial amount of efficiency savings in 2011-12. These will need to be sustained and built on if savings targets are to be met. "The NHS has made a good start in making substantial efficiency savings in the first year of the four-year period when it needs to achieve savings of up to £20 billion. To build on these savings and keep pace with the growing demand for healthcare, it will need to change the way health services are provided and to do so more quickly." The NHS made a substantial amount of efficiency savings in 2011-12, according to a report published today by the National Audit Office. These savings will need to be sustained and built on in future years if the NHS is to generate up to £20 billion of savings in the four years to 2014-15. The Department of Health has reported that the NHS achieved £5.8 billion of savings in 2011-12, virtually all of the forecast total of £5.9 billion. Most of the savings were generated through the pay freeze for public sector staff, and reductions in the prices primary care trusts pay for healthcare. NHS bodies also made savings by cutting back-office costs. However, there is limited assurance that all the reported savings were achieved. The chief executives of primary care trusts are required to confirm they are content with the accuracy of their savings data, but the Department does not validate or gain independent assurance about the data reported. An NAO review of the Department’s analysis of national pay, activity and other data substantiated a total of £3.4 billion of NHS efficiency savings. The NAO found that, understandably, the NHS has started by making the easiest savings first. Although the savings made by NHS providers as a percentage of operating costs are increasing, it is not clear what level of savings is sustainable over time. There is consensus that service transformation, such as expanding community-based care, is fundamental to making future savings but only limited action has been taken so far. Changes to transform services take time to implement and the Department has always expected that these savings will predominantly come in the latter half of the four-year period. 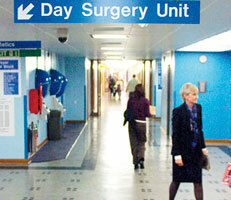 The NHS is seeking to maintain the quality of, and access to, healthcare at the same time as making efficiency savings. In 2011-12, the NHS performed well against headline indicators of quality, including waiting times and healthcare associated infection rates. The indicators focus mainly on hospital care and the Department faces a significant challenge in monitoring quality across the NHS as a whole. The Department does not know whether the demand for healthcare is being managed in ways that inappropriately restrict patients’ access to care. Reducing demand and redesigning care pathways to treat patients in the most appropriate setting are key ways of generating savings. The Department told the NAO that, where it has been made aware of specific concerns, the relevant strategic health authority has been asked to investigate. It has also made clear that blanket bans on particular procedures are not permitted.